Going to Mars will be no easy task. NASA and other private space companies have set goals for 2030 to go to Mars. 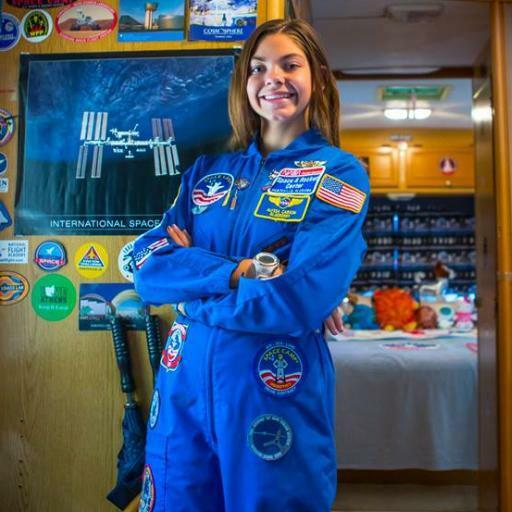 To become an astronaut they say you need the “right stuff.” Being a Mars astronaut not only gets adults excited but even teenagers such as 14 year old Alyssa Carson. She has dedicated her life to becoming a Mars astronaut and you can tell she’s the real deal (find out what I mean here). I got a chance to ask Alyssa Carson a list of questions around her journey to becoming a Mars astronaut. Here we go! How has your journey to becoming an astronaut going? What things are you looking forward to in 2016? My journey towards becoming an astronaut has been going great. Somethings I am looking forward to in 2016 is doing more scuba trips, as well as starting my pilots license. I am also excited to continue going to camps especially in the summer. What was your biggest challenge in 2015 and how did you overcome it? My biggest challenge was trying to find time to actually get my scuba certification. I overcame it simply by taking more steps than usual to plan the trip. I prefer doing physical training because it is more fun. This could include simulators, ect. Techniques I use on a stressful day is just to calm down leave the activity for a second then go back and get it done. How do you feel about the trajectory the space industry is heading / gearing up for Mars? What aspects do you think will be the most challenging to figure out? The way the space program is going is great. Most space agencies have their focus on Mars. Although the process to get to Mars has started there is still much to figure out. Some of the most challenging are radiation, the habitat needed for the 6 month journey there, and many other problems that still need to be solved. I would recommend the having and/or leaning the mentality that we are all one. No matter what our backgrounds are, where we come from, we are all part of the the human race. I got into robotics when I saw the program at the space camp in Huntsville, Alabama. From there I started building and competing with my school. I enjoy programming the robot as well as testing it. Aside from family, do you have someone who is a mentor to you? If so, how do you go about finding a mentor if someone like yourself wanted to find one? Some of my mentors are Bill Parsons (former Kennedy Director), John Connolly (Nasa Scientist), and Deborah Barnhart (CEO of Space Camp and the U.S. Space and Rocket Center). Really a mentor can be anyone, so I would say just to find someone you trust who knows about the subject you are looking into and ask for advise when needed. My favorite Mars spacecraft is Curiosity just because of how much it has accomplished such as discovering signs of water. What is one book you gift the most or would recommend to someone? I would recommend the book The Astronaut Instruction Manual by Mike Mongo. What, if any asks or requests, do you have for your fans / audience? Things they can consider or think about. I just want my fans to follow their dreams and never let anyone take their dreams away from them. I thank Alyssa Carson for spending her time answering these questions. She’s on a fantastic journey to becoming an astronaut and I hope you found some iota of inspiration from this interview. If you want to say hello or learn more about Alyssa Carson then visit her site: nasablueberry.com. You can always give her a shout out on Facebook and Twitter. I ask 14 year old future Mars-walker Alyssa Carson on her journey to becoming an astronaut.